Whether you need representation in a lawsuit involving your real property or business, require advice in structuring and forming a business entity, or require help in securing trademarks and copyrights, we provide dedicated representation designed to produce results. To arrange a free one-half hour consultation about your legal issue with one of the Firm’s attorneys, please contact our Walnut Creek office. Whether you need a civil litigation attorney, a real estate attorney, or a law firm experienced in handling intellectual property matters, you can rely on The Williams Firm for professional legal counsel and personal client service. 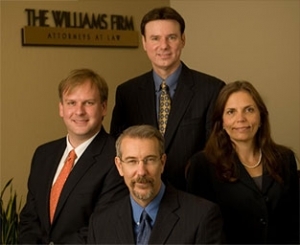 Contact an attorney at The Williams Firm today.